Tags: beaded necklace, blue jewelry, necklace, tassels. 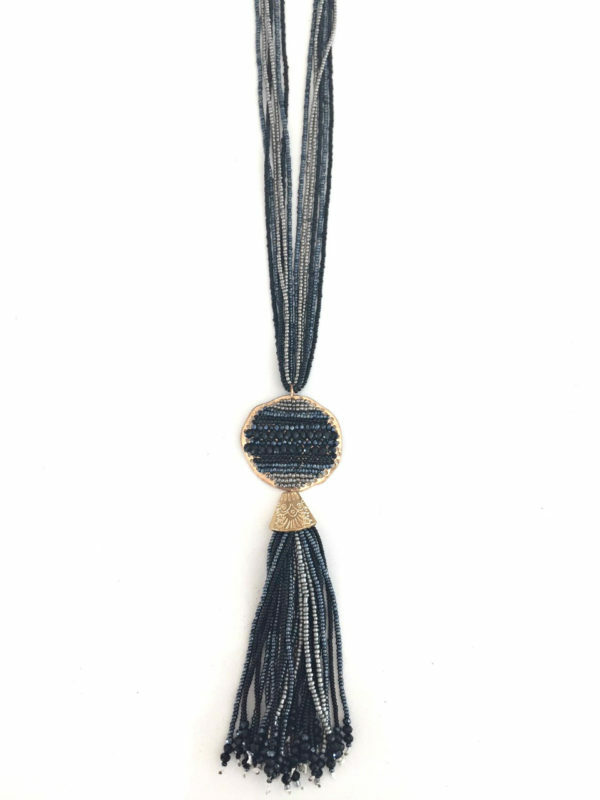 Our Mazarine Pendant necklace, from our Urban Bluetopia Collection, adds a regal touch with its blue and grey hued beaded pendant and coordinating beaded tassels. The perfect gift for the Diva who’s looking to add a bit of flare to her OOTD. Chain includes extender. This piece also pairs well with our Afina Blue Drop Earrings (sold separately).